No doubt, the most literate description of oysters can be found in M.F.K. Fisher’s 60 page, quasi-cookbook, Consider the Oyster; copyrighted in 1941, but reading as fresh as ever. 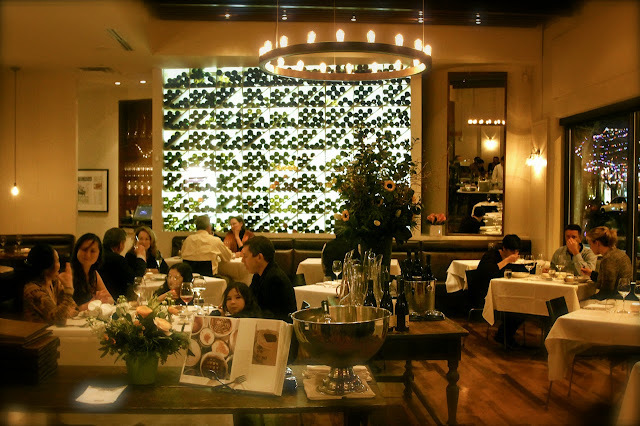 In it, like an organoleptic physician, Fisher prescribes very dry white wine – preferably French Chablis, Pouilly Fuissé or Champagne – as the “safest” matches for oysters, especially when the two are served at the same chilly (but not frozen) temperatures. Although this wine advice was based on Fisher’s practical experience (“Whether they were correctly drunk or not, I was…”) there are no writers or sommeliers to my knowledge who would beg to differ. The wisdom of drinking light, puckery dry white wine with oysters is not so much accepted as assumed – like drinking water from a cup, and eating sashimi with chopsticks. The interesting thing about Chablis, Pouilly Fuissé and Champagne is that all these wines are made from the same variety of Vitis vinifera, Chardonnay (although Champagne, as smart alecky sommeliers would remind you, are usually blends of Chardonnay with Pinot Noir and Pinot Meunier). Knowing this, it might stand to reason that one could substitute Chardonnay made from more readily available sources such as California or Australia, but here is where the logic goes awry. 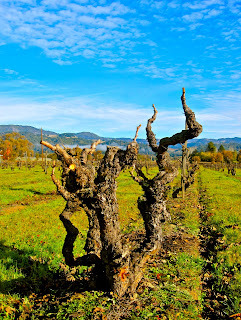 Since the grape growing regions of California and Australia are much warmer than those of France, Chardonnays from these areas generally lack the lemony tartness and sense of lightness that make the French wines so appropriate for oysters. In fact, the differences between Chardonnay-based wines grown in France and Chardonnays grown in the New World can be so dramatic, you’d think they were made by two different grapes. Yet by no means is every white wine from France “cold climate” grown, and thus ideally suited to oysters. 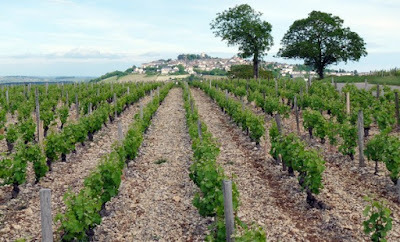 Wines from warmer parts of France such as the Rhône, Provence and Languedoc – made from grapes like Viognier, Marsanne and Roussanne – are like the warm climate Chardonnays of the New World: lower in acid, heavier in alcohol, and thus less than optimal for the eating of oysters in the raw. On the other hand, there are some wine grapes that tend to produce white wines with perfectly oyster friendly, tart qualities, no matter where in the world it is grown. The Sauvignon Blanc (often called Fumé Blanc in the U.S.) is a prime example. I am not certain why the original, steely dry, crisp edged styles of French grown Sauvignon Blanc – sold by their place names, such as Sancerre and Pouilly-Fumé – did not make it into Fisher’s treatise. Neither did the simple, feathery light and lemony whites made from Picpoul (a grape name that literally translates as “lip stinger”), which is probably the only white wine from France’s Mediterranean coast that makes an enduring match with oysters. I suspect that M.F.K. liked best what she was most familiar with – the wines of France’s Burgundy region – which is always the best policy anyway. While oysters are famously immobile – once its seed finds its rock, there the bivalve abides – they do have a powerful muscle that opens and shuts its gnarly shell. Contrary to popular opinion, not all oysters are created equal, and the differences in taste have as much to do with its muscle as its species. Some oysters are brinier, some are creamier, some are lean and some are fat, some seem saltier, some seem earthier or muddier, and some even have a “fruity” taste, vaguely suggestive of cucumber and melons. Oyster aficionados would tell you that most of the differences in taste has to do with where the oyster is harvested. 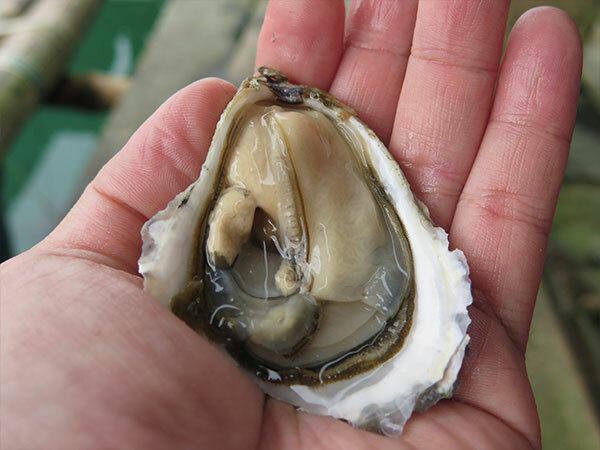 The muscle in all species of oyster tends to work harder in warmer waters, constantly opening and closing to allow a flow of water and nutrients. Therefore it is in the warmest waters – such as off the East and Gulf Coasts of the U.S. – oysters tend to be the leanest in meatiness, and have less of a creamy, fruity taste than oysters from colder waters. In the coldest waters – particularly off the Western coasts of Canada and the American Northwest – oysters live a more contented life, having to work its fabled muscle much less; thereby developing a plumper, juicier, fruitier quality of meat in its shell, yet still with the briny, minerally or flinty taste of all oysters. Eastern Oyster (Crassostrea virginica) - Perhaps our best known, native to the waters off the Eastern Seaboard, Nova Scotia, and all the way down to the Gulfstream waters between Florida and Texas. Sometimes called Atlantic oysters, and for many decades collectively called Blue Points (although Blue Points technically come only from Blue Point in New York’s Long Island), these distinctively oblong shaped, medium length (commonly 2 to 4 inches) oysters are also somewhat more delicate, minerally and saline in flavor than oysters from elsewhere. Pacific Oyster (Crassostrea gigas) – Also called giant oyster due to its generous size (3 to 6 inches in oyster bars, but can reach 10 inches in length if allowed) as well as rich, generous, creamy textured flavor. Not a native, but originally introduced from Japan in the early 1900s; the bulk of the world’s harvest now coming from the icy waters of Washington’s Puget Sound as well as Oregon and Western Canada. Kumamoto Oyster (Crassostrea sikamea) – Another native of Japan (although curiously, now extinct in its original home, Kumamoto Bay in Kyushu), but the opposite in size from the Pacific oyster. The popularity of “Komos” has exploded since it was first seeded in California (notably Humboldt Bay and Tomales Bay) after WWII because of its discreet (usually around 2 inch width), round size and accessibly discreet, round, somewhat fruity flavor – perfect for newbie oyster eaters, cocktails and oyster shooters. Olympia Oyster (Ostrea conchaphila or lurida) – The smallest of our commercial oysters, native to the Pacific Northwest (harvested in Puget Sound and Hood Canal), although extending in the wild from Sitka, Alaska to Baja, California. Like Komos, the meat in the rounded, oblong shells (usually less than 2 inches) of “Olys” tends to be mild and fruity, with just a touch of the earthy, coppery taste associated with European species. European Flat Oyster (Ostrea edulis) – Often called Belons (although authentically named Belons come only from the Belon River in Brittany, France), these distinctively flat, round to ovular, medium sized oysters – known for their sweet/salty/earthy taste – were transplanted in the 1950s, and are now farmed primarily in Washington, California, Maine and Nova Scotia, and sold under names like French Hogs (by Hog Island in Tomales Bay) or their place of origin (like Westcott Bays from Washington). In spite of the fact that I have never, ever passed up a plate of fresh oysters during my adult life, I confess that it took me years to figure out which oysters are which, and only recently have I discovered the wonderful variations of wine that the different oysters invite. Still, I’m more likely to order my oysters like this: “I’ll take three of the small ones (Olys or Komos), three of the skinny ones (Blue Points or Belons), and six of the big, fat ones (varieties of the Pacific giants).” Considering the growing number of raw bars and seafood restaurants springing up across the country, it would behoove any oyster lover to at least consider the flavor profiles associated with the shapes. I call these “skinnies” because both East Coast and European flat oysters tend to have oval shaped shells, are leaner in meatiness, yet still retain a moderately briny, salty, steely flavor, delicious for eating raw, or else no more than a squeeze of lemon or a splash of mignonette (the classic mix of white wine vinegar, finely minced shallots and chervil). In restaurants and markets Eastern oysters are commonly sold by their points of origin – under aliases such as Long Islands (the original Blue Points), Wellfleets (from Cape Cod), and Delawares or Bristols (Maine). Similar to these are the oysters off Eastern Canada, also sold by place names such as “Novys” (from Nova Scotia), Malpecques (Prince Edward Island), and Caraquets (New Brunswick). 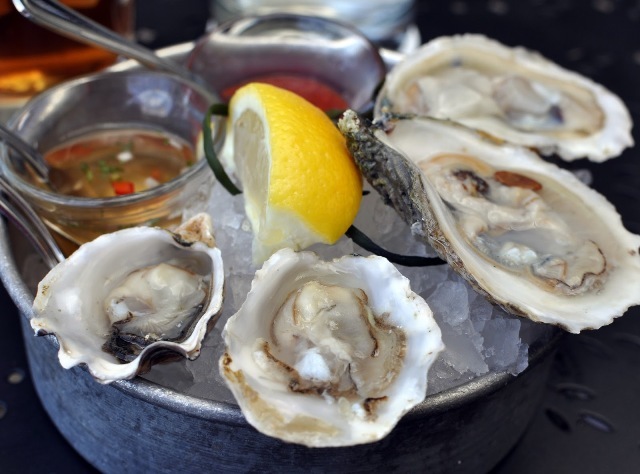 The lean, briny Eastern oysters from the Northeast coast and Canada, however, are not to be confused with the Eastern oysters from the decidedly warmer Gulf Coast (such as Florida’s Apalachicolas and Mississippi’s Emerald Points). Gulf oysters are not just lean, but also duller, flabbier, almost “muddy” or “swampy” tasting – a little better suited for cooking (i.e. oysters Rockefeller, oyster po’ boys, fried oysters ‘n chips, or stuffed into “carpetbagger” steaks) than eating raw and plain. Because of their lean and minerally taste, the easiest wine match for both Eastern and European flat oysters is probably any lean, minerally, bone dry white; but ideally, the pure Sauvignon Blancs from France’s Loire River, most commonly seen as Sancerre or Pouilly-Fumé, although lesser known Sauvignon Blanc appellations such as Cheverny, Quincy, and Menetou-Salon serve just as well. While certainly acidic enough, to me the Sauvignon Blancs of New Zealand and California are not quite as ideal since they tend to be fruity in flavor, and completely void of the stony, minerally, or flinty nuances found in French grown Sauvignon Blancs. In my experience, the better alternatives to Loire River Sauvignon Blancs for skinny oysters are the trocken (“dry”) or halbtrocken (“half dry”) white wines made from Germany’s Riesling grape, which can retain a zesty, slaty-mineral flavor. At only 9% to 12% alcohol, dryer German Rieslings sweep across the palate like a light, lilting, perfumey breeze, sweetening the taste of oysters with their natural lemon-lime acidity. 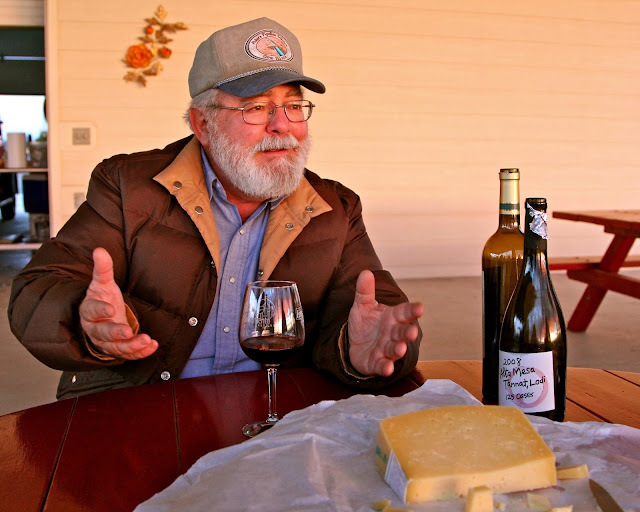 Among the most reliable producers of this style found in America are Zilliken, Pfeffingen, Georg Breuer, von Hövel, Robert Weil, von Buhl, and Dr. Burklin-Wolf. Other good choices for long and lean Eastern and European flat oysters? Spain’s flowery and flinty dry whites made from the Albariño grape (particularly those of Lusco, Morgadio, or Pazo de Senoran). Then from France: light and crisply dry Muscadet de Sèvre et Maine, as well as classic Chablis, Mâcon Villages, or Pouilly Fuissé from Burgundy. The waters off the Northwest coasts of Canada and the U.S. are an oyster lover’s paradise, giving the broadest, roundest, fruitiest, fleshiest, and most creamy textured of bivalves. These variations of the Pacific oyster are also usually sold by their place names; some of my favorites including: Hama Hamas, Quilcenes and Mallard Creeks (from Washington’s Hood Canal), Sinku’s and Pearl Bays (Wash.), Caraquets (Prince Edward Island, Ontario), Fanny Bays and Chefs Creeks (BC), and often the biggest of all, the South Puget Sound’s Tottens (the latter, from the Totten Inlets, literally a three or four bite oyster). For these fat styles of oysters, I actually prefer a fruitier, more aggressively aromatic dry white with the requisite acidic underpinnings. Namely: Sauvignon Blancs from New Zealand (Giesen, Nautilus, Morton, Brancott, and Villa Maria are five favorites), Sonoma County (Murphy-Goode, Simi, Iron Horse, Kenwood, and Chateau St. Jean), and even the fuller bodied, partially oak influenced styles of Napa Valley (most notably Selene, Crocker & Starr and Spottswoode, but also Robert Mondavi, Duckhorn and St. Supéry) and Santa Barbara (Fiddlehead and Babcock). Other excellent Pacific oyster whites: dry white Graves from France’s Bordeaux region; dryer, chalky textured Loire River whites made from the Chenin Blanc grape (Savennières, Saumur Blanc, and sec or “dry” styles of Vouvray and Montlouis); dryer style Rieslings from Germany or Alsace; Washington St. Sémillon and Fumé Blanc; moderately scaled Grüner Veltliner from Austria; and German, Oregon, or Italian Pinot Gris (the latter sold as Pinot Grigio). But if Olympias and Kumamotos could talk, no doubt they’d also call for something light, white, and downright lean and lemony as opposed to soft and fruity: especially Picpoul from Southern France and Muscadet from the Loire; the underappreciated, lemon zested Vinho Verde from Portugal; from Italy, Piemonte’s Arneis, Gavi (made from the Cortese grape) or Grechetto from Umbria; from Spain, the spring-fresh, citrusy Naia (from the Verdejo grape); finally, from Canada, the Finger Lakes and even Georgia, the sprightly, floral scented whites made from the Seyval Blanc grape (look for Persimmon Creek Vineyards'). … and I think I hear a plate of oysters calling for me now!